Model: LADA Niva 1.7 i / 21214. 2110, 2111, 2112. Sollte die Ware nicht ordnungsgemäß bzw. Motorhauben, Heckklappen, Türen, Stoßfänger, Kotflügel, Motoren, Getriebe, Achsen. Lada Niva 1.7 i. Silencer M LADA Niva 21214 LADA TAIGA 4 X 4 silencer 21214-1200. Mirrors large right - LADA NIVA - 2121, 21213, 21214, 21215 diesel. Mirror mirror great LINKS - LADA NIVA TAIGA 4 X 4-2121, 21213, 21214. FOR LADA NIVA. 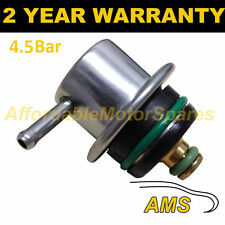 This is an original quality part manufactured by Elring. Vehicle compatibility. Part specifications. Mirror Heads, Housing & Motors. Rotor Arms. Belt Tensioner Wheels & Bkts. Suspension Ball Joints. Any claims after 24 hours cannot be accepted. Heat Shield. Rear Lights. Front Exhausts Cats. Injection System Heat Sheild. Search “Elring Online Catalogs”. Equivalent Part Numbers: ELRING: 419.97, PEUGEOT: 1981.02, WILMINK GROUP: WG1192588. Citroën Relay (230) 1.9 TD Diesel (1994-2002). Engine Code: A9A (XUD7) | Quantity required: 4. Model - NIVA II (2123). Year - 2014. 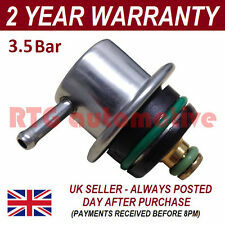 This is a quality tested, used spare part! Parts are fully functional but you should expect normal wear corresponding to the year and milage of the car the part has been removed from. LDV XUD9 1905 cc 47 - 52 64 - 71 Diesel. LDV 200 Box 1.9 D 1.9 L / 1905 cc 1994.10 - 1996.03 47 Kw / 64 HP Required quantity: 4. LDV 200 Pickup 1.9 D 1.9 L / 1905 cc 1994.10 - 1996.03 47 Kw / 64 HP Required quantity: 4. LADA: Lada Niva. Silencer M LADA Niva 21214 LADA TAIGA 4 X 4 silencer 21214-1200. Mirrors large right - LADA NIVA - 2121, 21213, 21214, 21215 diesel. Mirror mirror great LINKS - LADA NIVA TAIGA 4 X 4-2121, 21213, 21214. Lada 10: LADA Kalina 1119 / hatchback. 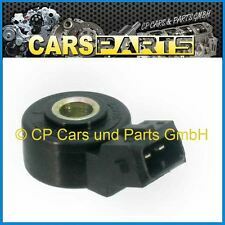 Knock sensor for inserting LADA Niva 1.7 i / 4 x 4 / Taiga / urban - 2112-3855020. Lada 1: LADA Niva 21213 1700i. Lada 2: LADA Niva 21214 1700i 4 x 4. Lada 9: LADA Kalina 1118 / notchback. Sealing ring for the fuel pressure regulator LADA Niva LADA Kalina, LADA 2110, LADA 2111, LADA 2112. SEALING RING FOR THE FUEL PRESSURE REGULATOR LADA NIVA, KALINA, 110-112 - 2111 1132188. Silencer M LADA Niva 21214 LADA TAIGA 4 X 4 silencer 21214-1200.